The structural aspect of the atomic nucleus is governed by the interaction between nucleons, protons and neutrons, binded by the strong interaction. This multibody quantum system is often described by a nuclear medium field built on an effective nucleon-nucleon interaction. This interaction became increasingly sophisticated as accurate spectroscopy data accumulated. Until the 1980s, these data mainly came from stable nuclei for which the isospin, related to the difference between the number of protons and neutrons, undergoes slight variations. 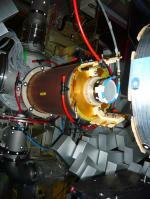 The isospin dependence of effective nuclear interaction is not well known, which requires in-depth studies. Since the 1990s, with the development of radioactive beam facilities, detailed studies of nuclear structure, far from the valley of stability, have been undertaken to determine the effect of large isospin variations, particularly in light nuclei. Studies of the atomic nucleus have progressed considerably with the discovery of the new nuclear properties of certain unstable nuclei, which have called into question the usual theoretical approaches, developed mainly from the structure of stable nuclei. Radioactive nuclei that exhibit these new properties compared to stable nuclei have been described as exotic nuclei. These nuclei do not exist naturally on Earth. Nucleart chart presenting the main topics studied at DPhN. 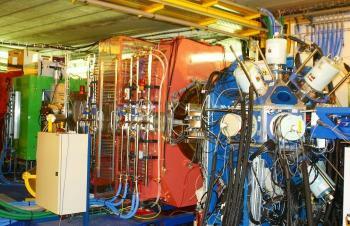 The theories, to go beyond the standard description in the medium field, rely on new data collected on unstable nuclei. The objectives of nuclear structure physicists are to test the predictions and validity of nuclear models by the experimental study of nuclei subjected to extreme conditions: limits of stability to proton and neutron drip-lines, in angular momentum, deformation, under load very heavy and super-heavy nuclei. 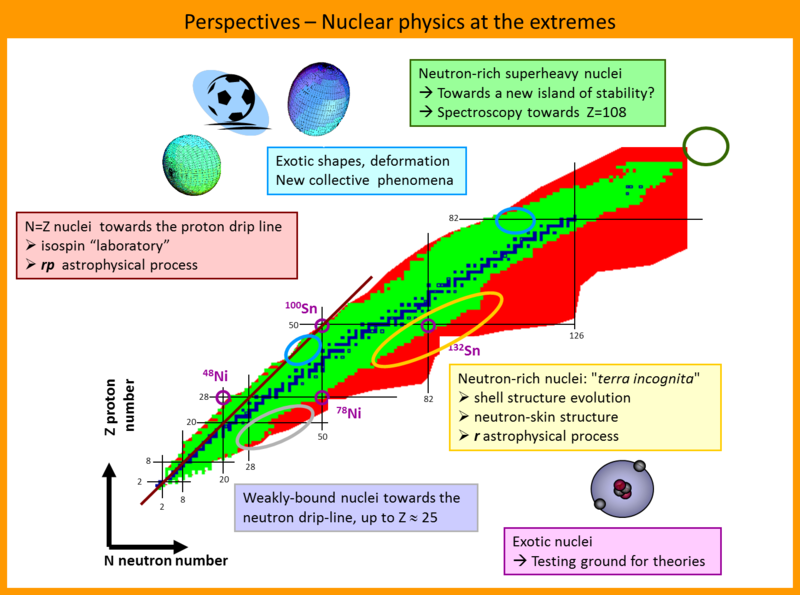 Spectroscopy of exotic nuclei is derived from direct nuclear reactions, and nuclear deformations are obtained by Coulomb excitation or electron and gamma decay of the compound nucleus, formed by fusion reaction. theoretical studies of the structure of the nucleus. Many phenomena, not predicted by current nuclear models have already been highlighted: very diffuse nuclear matter in some light nuclei (large extensions of matter densities, constituting a halo (6He) or a neutron skin (8He)), low energy resonances, clusterization of alphas, new forms of radioactivity, weakening and modification of well established layer effects in the valley of stability (N=16 new magic number in the neon nucleus 26),... are some examples of the fascinating new aspects of the nucleus that have emerged from these studies. Our understanding of the nuclear structure progresses through successive exchanges between theory and experience. This research is conducted within the Atomic Nucleus Research Laboratory (LENA) in interaction with the activities of the Theoretical Nuclear Structure and Reaction Space (ESNT).